Growing up as a speck of pepper in a land of salt, small town upstate New York, meant I had to learn from a very early age to be comfortable in and to fully embrace the “skin I was in”. Growing up bi-racial in a homogeneously white family and town was challenging at best, but I always felt loved, accepted, and beautiful in my own right. 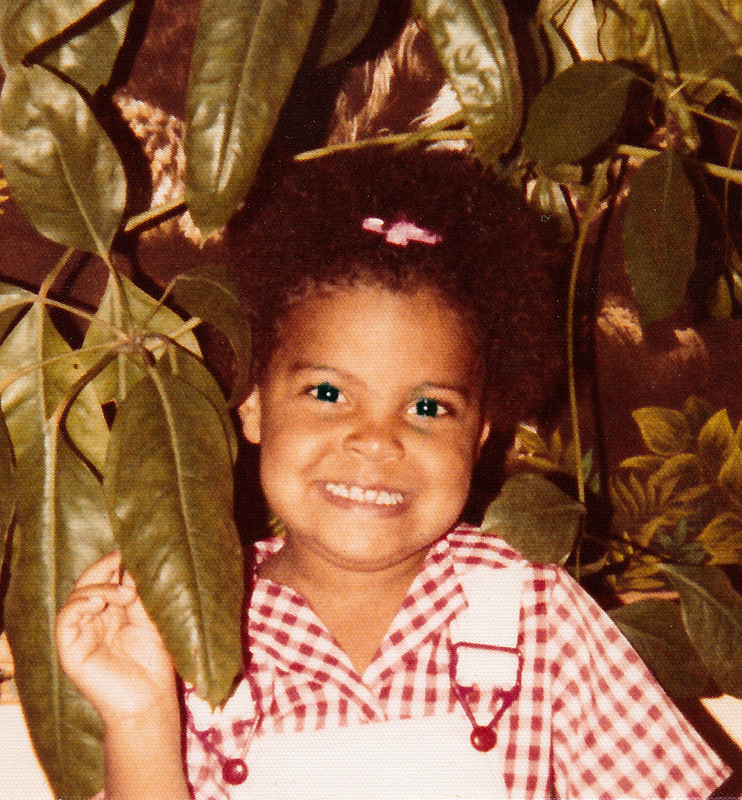 Though my family couldn’t “relate”, they did empathize with the plight of their brown loved one and always went out of their way to find me dolls, books, and toys that reflected the way that I looked — brown skin, brown eyes, and natural hair. My grandmother, the family matriarch and center of extended familial activity, paid especially close attention to me, I think mostly out of love and protection from ignorant people who always had a slick comment, inappropriate question, or needed to explain or try to justify my presence, but also because she LOVED shopping and accessorizing and was extremely fashion forward for her time. I became her little model, when affordable, during back-to-school shopping trips because as she put it “every color looks amazing on you” or when a bewildered store clerk would come back with another color of the same dress and shoes to match, she would reply “I can’t say no to anything put it all on my store account, I don’t want to see the bill”. She would often encourage me to wear my natural hair short because the curls were more defined and textured and highlighted my eyes and long neck, two features she loved most about me and made me love about myself. *I’m actually 3 in this photo, but you get the idea! These early experiences at the hem of my grandmother’s skirt, reveling in her love, acceptance, and admiration turned into an ability to see myself despite looking nothing like my immediate family and being the only bi-racial girl in my school, church, and community. These external expressions of love turned into self-love at the early age of 5 when I remember “experimenting” with different hair-dos to go with the amazing clothes grandma bought me. For my first year of “big-girl school” as a Kindergartner, my best do’ consisted of a hair ribbon tied around the crown of my head in a wide variety of colors which always perfectly matched my outfit. Because I had been ‘rocking a natural’ from day one and loving it, I never felt the need to change my hair too drastically in terms of textures or treatments, since my hair had enough versatility to try an abundance of styles. 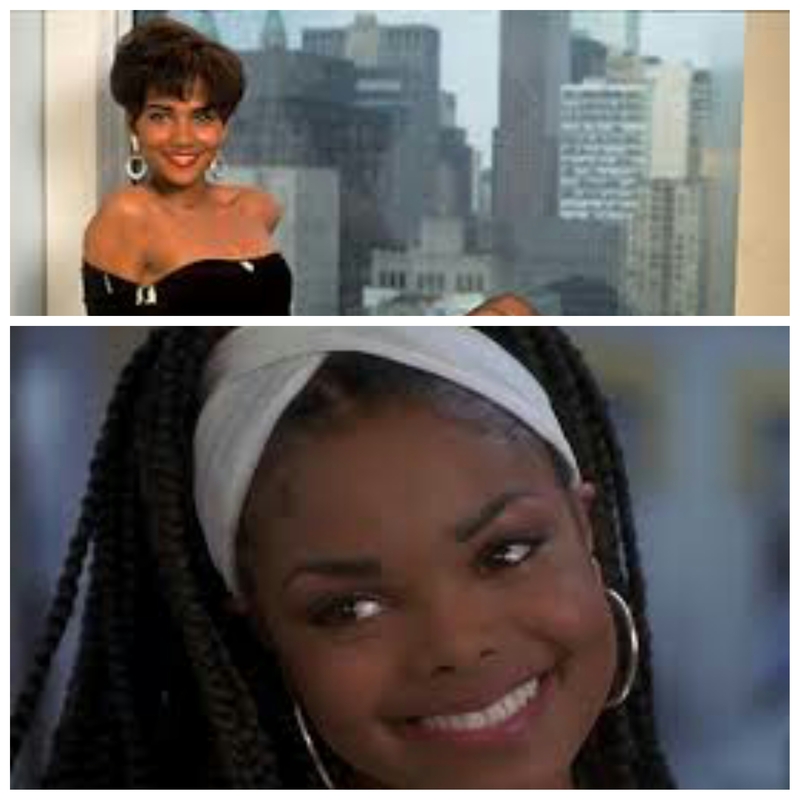 For a period of time in my pre-teen and early teen years, I did relax my hair, so I could get the timeless “Halle Berry” short cut and wore braid extensions for a little while trying to look like popular r & b icons, think early Brandy and 90’s Janet Jackson. Despite my best efforts, those styles never lasted too long and I would always come back around to wearing my hair natural, mostly because it just felt more me. One of the greatest lessons I will take away from my grandmother and my hair journey is not to shy away from being different or to ever entertain the idea that because I look different or wear my hair natural that I am not beautiful. I have learned to embrace my difference(s) and to use it to my advantage. Wearing my hair natural has been one of the most freeing and liberating things I’ve ever done because I get to set the standard of beauty and am no longer victim to the trends society and social media promote. I carry my grandmother’s legacy of love and pride with me to this day in the form of self-love and inner strength which are the core of who I am; and now that I am a mother to my own little brown girl I pour that love, acceptance, and pride all over her so she can bask in the glory of self-love, self-acceptance, and being comfortable in the skin she is in as she starts her own journey down life’s path.